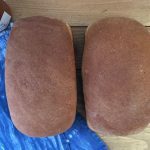 Anadama Bread is one of my favorite breads to bake at home. It makes me feel like I’m back in the day, baking bread for the family to go with an easy Saturday night supper. It’s that kind of bread. There is nothing “artisan” about it. 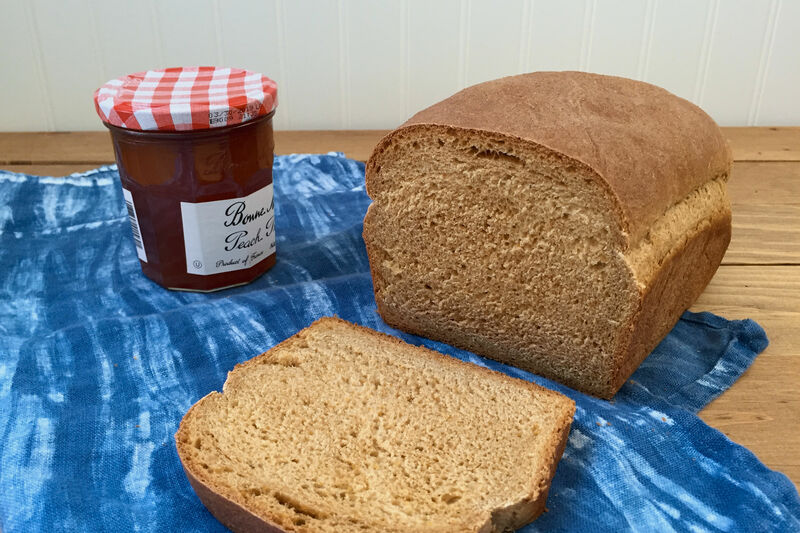 It’s old fashioned hearty bread with a subtle sweetness due to the addition of molasses. 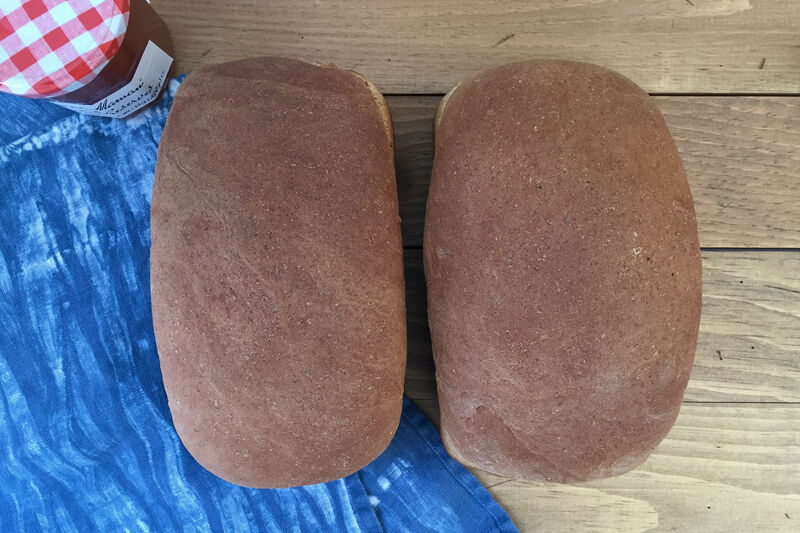 Perfect toasted with butter and a little jam, Anadama Bread is pure comfort food. I love to make homemade bread. There is something so satisfying about turning simple flour and water into warm crusty loaves of goodness. I am not sure why people find it intimating. It is actually easier than making cookies or cakes where you have a lot more ingredients to manage. 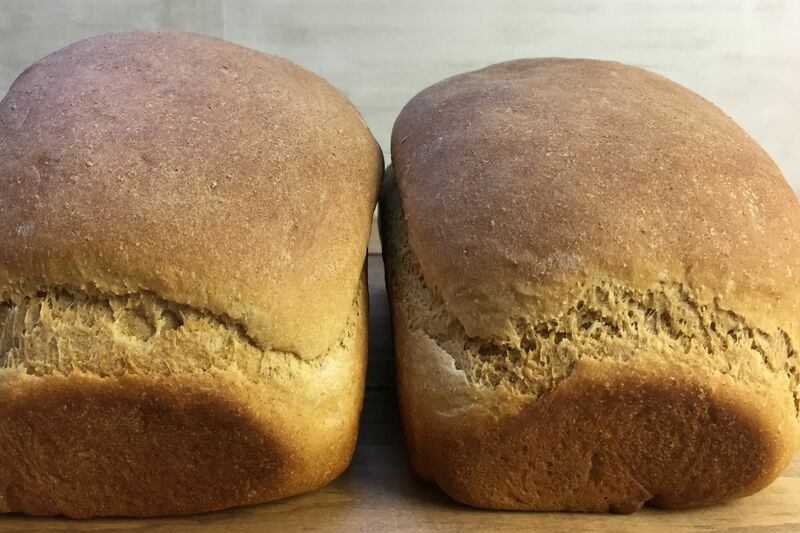 I will admit Anadama Bread is a little more involved than a traditional white sandwich bread, but I think a beginner should be able to handle it. The difference with bread making verses other types of baking is you need to let the dough rise. This can add on a couple of hours or more before the dough is ready to go into a hot oven, but remember this is all down time. You can be happily doing other things such as gardening, watching a movie or taking a nap (I wish) while the bread dough does it’s thing. Sometimes I use a stand mixer to knead my dough but with this Anadama Bread I decided to knead it by hand. I actually find it relaxing to knead bread dough while listening to my favorite tunes. Highly suggested by the way. 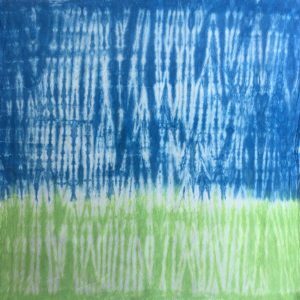 Should I start sharing my playlists with you? I can already hear my kids groaning. This recipe makes 2 loaves. Make one for yourself to devour and share the other. Let me know how it came out if you get the chance. 1/2 cup warm water - between 100 F. - 110 F.
6 cups all-purpose flour - plus 1/2 cup if needed. Pour the just boiled water into a large bowl. Slowly whisk in the cornmeal, making sure there are no lumps. Then whisk in the butter to melt, the molasses and the salt. Set aside and let cool. In a glass measuring cup or small bowl mix in the sugar and dry active yeast into the 1/2 cup of warm water. Let stand for 10 minutes. You are proofing the yeast to make sure it is still active. Make sure your water is not too hot or it will kill the yeast. You know it is good when you start to see bubbles form or it gets a frothy look to it. * See notes for video. Mix the yeast/water into the large bowl of the now cooled cornmeal mixture. Wait on this step if the cornmeal mixture still feels hot. It should feel just slightly warm. With a wooden spoon, mix in 2 cups of flour. Then continue to add the flour 1 cup at a time until you no longer can work the dough with the wooden spoon. Usually at 4 or 5 cups. Using your hands, mix in the remaining flour up to the 6th cup. Tip the dough onto a lightly floured board or your counter top. Work the dough until it all comes together, adding some of the flour from the remaining 1/2 cup if you need it. The dough will be look a little "craggy" and sticky but not so wet that you can't knead it. Knead the dough for 8 to 10 minutes until you have a smooth elastic dough. The dough will have some tackiness to it because of the molasses. This is normal with this dough. 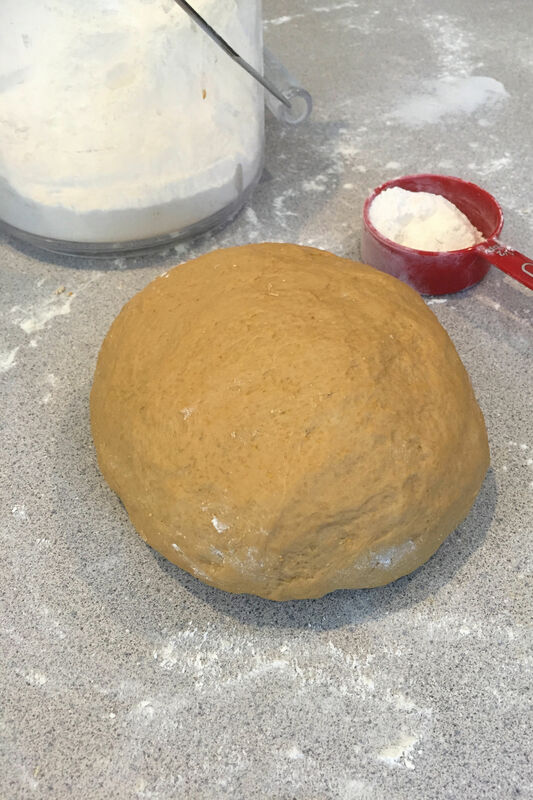 Form the dough into a ball and set it to rise in a large oiled bowl. Cover with plastic wrap or a large dish towel. Set aside to rise in a warm room until it has doubled in bulk. *See notes. Grease 2 - 9" x 5" loaf pans. Take the dough out of the bowl and onto a lightly floured counter top. Punch it down and shape the dough into a ball and then cut the dough in half. Shape each half into a rounded rectangle and fit into your prepared loaf pans. 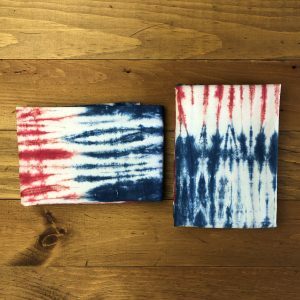 Cover with a large tea towel and let it rise for a second time until it has doubled in bulk. The dough should rise about an inch above the top of the pans before baking. Bake the bread for 30 to 40 minutes or until the the top is browned and the bread has a slightly hollow sound if you knock on the top of it. Turn the bread on to cooling rack and let cool. Best eaten the same day. Leftovers can be wrapped in foil or plastic wrap. It may dry out a bit the next day, but if you toast it and have it with a little butter and jam, it is still amazingly good. Here is a quick video if you are not sure how to proof yeast. Video. How to proof yeast. This is a good video that goes over the basics of kneading bread dough. 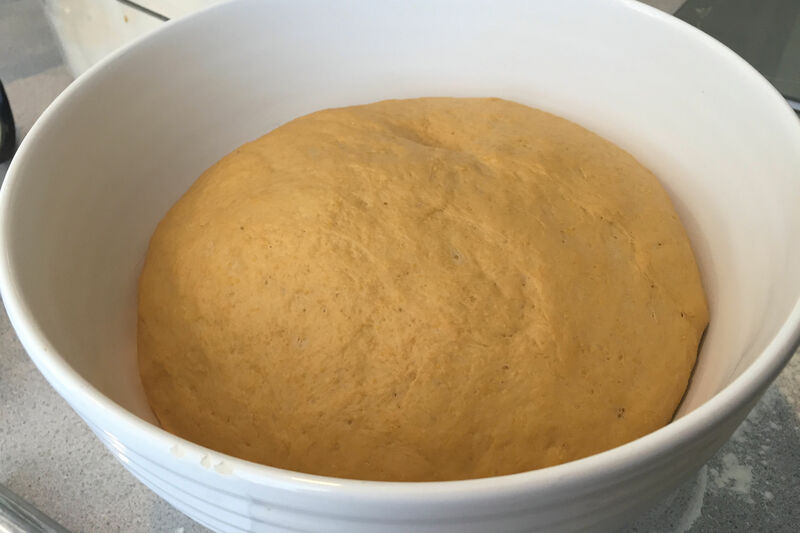 Keep in mind that the Anadama bread dough will have a little stickier look/feel than the white bread dough shown in the video. Video - How to knead bread dough. How long to let bread dough rise? It depends. I made this bread 3 times before publishing the recipe. The first time I made it, the dough on the first rise took 1 hour to double in size . The second time it took almost 3 hours! So weird!! My third attempt it took about 1-1/2 hours. The yeast, the weather and how the stars are aligned that day all have an effect on the rising of the dough. Also, the added molasses does make the dough rise slower that a non sweetened dough. 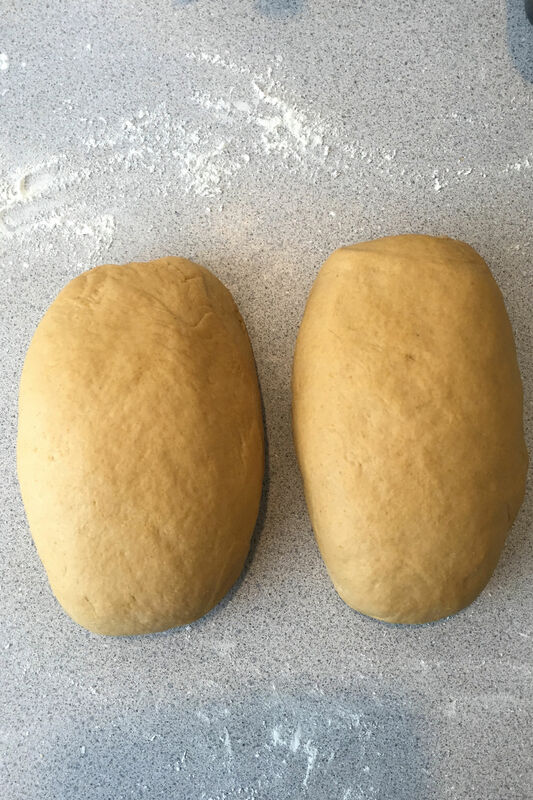 Just be patient, you do not want to under-proof your dough. The same goes for the second rise. Trust me it will be worth it.